Big History seeks to evoke in you an appreciation for the immensity of science and a longing for the greatest story ever told. Big History is the narrative account of the 13.7 billion-year history of our universe, the 4.5 billion-year evolution of our planet, the 6 million-year rise of our species, and the 10,000-year accelerating drama of human civilization. Every time we log on to the Internet or pump 200 million-year-old fossil fuels into our cars, we affirm this story in deed, if not in thought or understanding. In brief, our omnicentric universe began some 13.7 billion years ago as something like infinite heat, infinite density, and total symmetry. This universe expanded and evolved into more differentiated and complex structures—forces, quarks, hydrogen, helium, galaxies, stars, heavier elements, complex chemistry, and planetary systems. Some 3.5 billion years ago, in a small second- or third-generation solar system, the intricate processes called “life” began on at least one small planet. Animate matter-energy on Earth presented itself as a marvelous new intensification of the creative dynamic at work in the universe. Then some 2 million years ago, as if yesterday in the enormous timescales of the universe, proto-humans emerged on the savanna of Africa with enormously heightened capacities for conscious self-reflection, language, and tool making. Ten thousand years ago, agriculture began, and with it growing populations of humans living in ever larger and more complex societies. This unfolding leads us all the way to today, 7 billion of us collectively transforming the planet and ourselves. The wonder of it all is that each of us is a collection of transient atoms, recycled stardust become conscious beings, engaged in this global conversation, brought to you by ephemeral electrons cascading through the Internet and bouncing off of satellites. 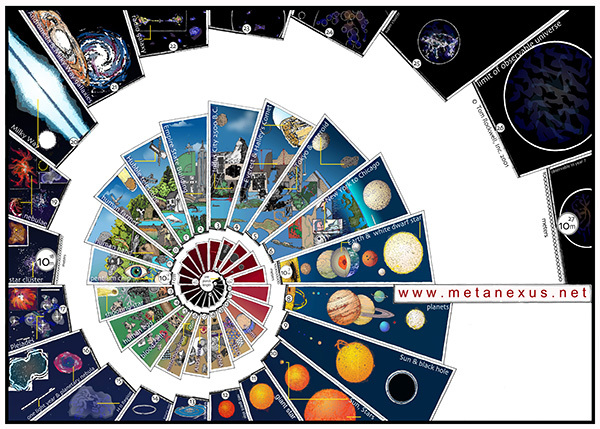 This grand scientific metanarrative is quite new and still evolving, so much so that we do not really have an adequate interpretative tradition surrounding it. This history, like all histories, is open to many plausible interpretations, so long as we are faithful to the text— in this case, the “Book of Nature” as discovered through multiple scientific disciplines over the last century. It is tragic that we do not teach this epic narrative of science to our children and ourselves in all of its glorious grandeur and fascinating details. That we do not discuss and debate the meaning of this new cosmology, seeking to integrate it with our different religious and cultural traditions, helps fan the flames of unnecessary conflicts. Instead, scientists pursue their disciplinary research in relative isolation, while theologians, philosophers, and political partisans pick and choose which pieces of the larger puzzle they want to interpret, without regard to the set of scientific facts. Yet if we are to succeed in solving the great economic and environmental challenges of the 21st century, we will need to understand Big History and its implications. 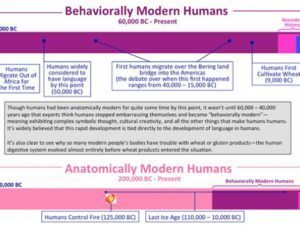 To that end, a number of educational reform efforts are afoot to introduce this integrated science and history curriculum in universities and high schools around the world. There is World History for Us All, a project of San Diego State University, and the Voyages Through Time curriculum from the SETI Institute. Bill Gates recently launched the Big History Project, an online curriculum for ninth graders with pilot classes. 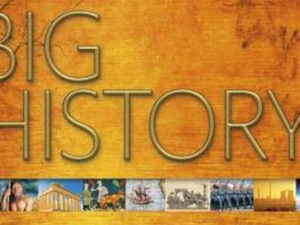 The International Big History Association was recently formed and will host the first international conference on the topic in 2012. Educational authorities in China and South Korea are busy translating relevant books and designing curricula. And a spectacular 60-minute documentary, Journey of the Universe, was recently released and will be shown nationally on PBS in December. Many books have been penned and processed that explore Big History. We seek to incubate such courses in undergraduate colleges and universities, book clubs, religious congregations, and ultimately in age-appropriate ways in K-12 education, here in the United States and around the world. We see Big History, and exploratory dialogue about how to interpret this story, as an important component in addressing the challenges of culture wars and clashing civilizations. We also see Big History as a productive context for solving many of the great political, economic, and environmental challenges in the world today. By considering science and history as a unified whole, we might most appropriately pose questions of meaning and mores. The story begins here.